When it comes to immune system health and function, there are a number of nutrients that help support and maintain it. While most of these can be gotten from a healthy daily diet, sometimes even the healthiest diet may leave nutritional gaps, which may affect your overall health. Alive! 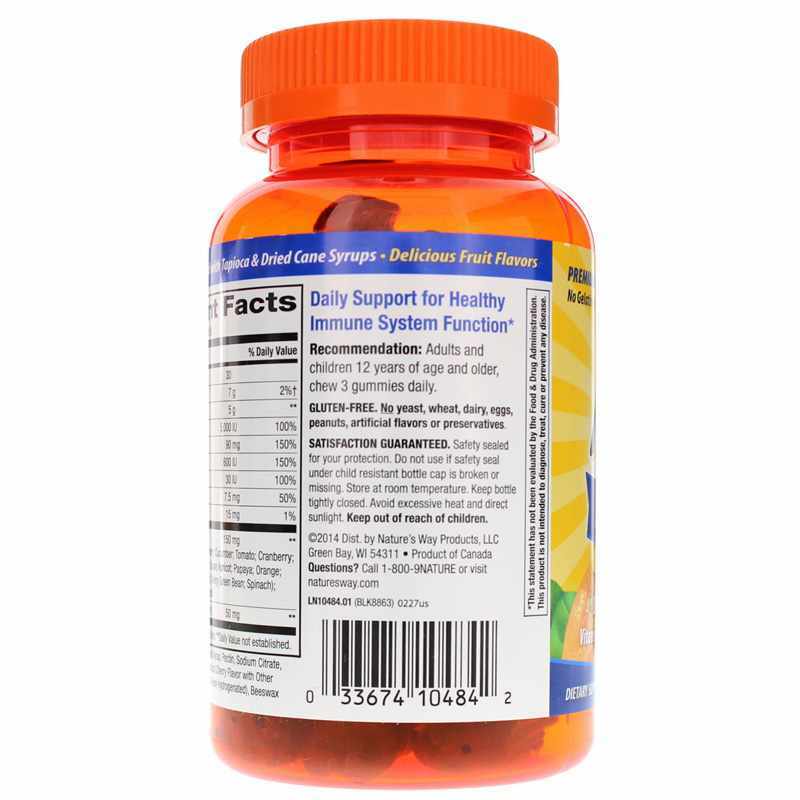 Immune Gummies from Nature's Way is an easy-to-use dietary supplement that provides a range of nutrients that support your immune system on a daily basis. Every batch of this product is manufactured without the use of dairy, eggs, gluten, peanuts, wheat, yeast, or artificial preservatives or flavoring. Each batch is sweetened with tapioca and dried cane syrup, and has a delicious cherry flavor you'll love. The Alive! 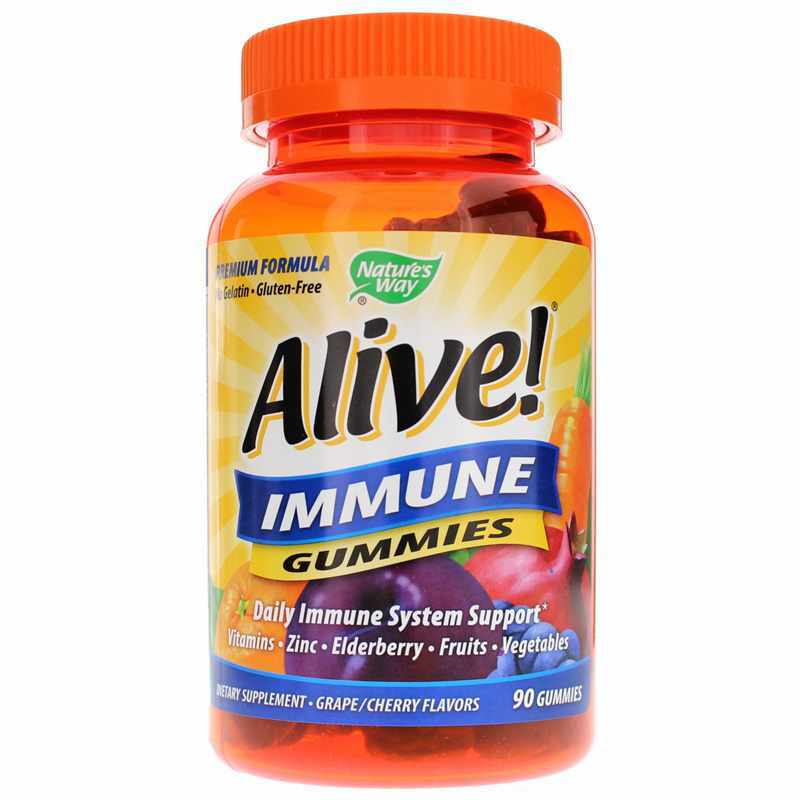 Immune Gummies from Nature's Way are the ideal, easy-to-chew way to give yourself a healthy immune boost every day. Order yours today, and see the difference they may be able to make for you. 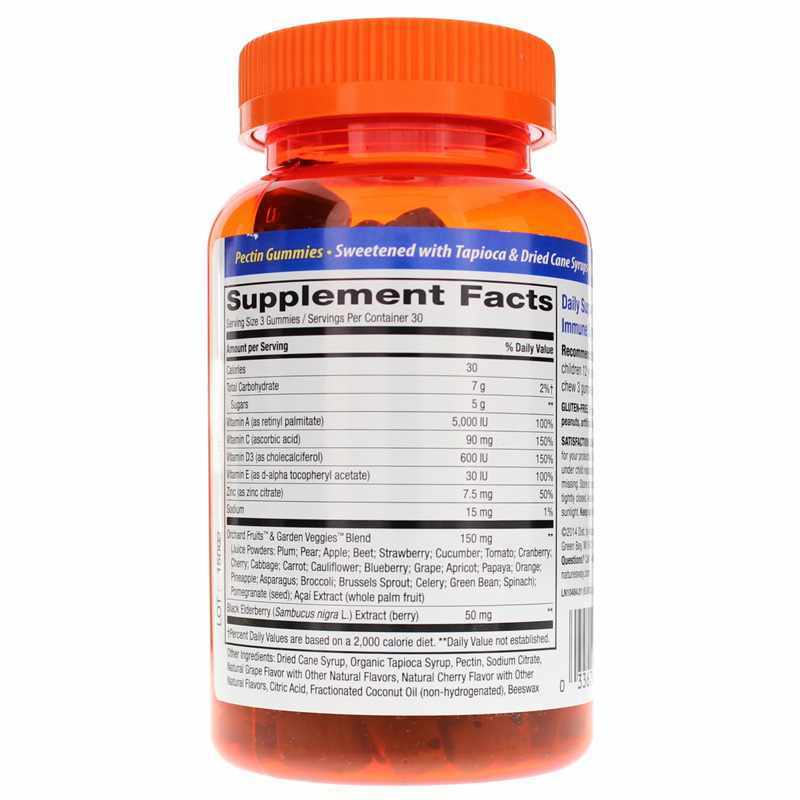 Contains NO: gluten, yeast, wheat, dairy, eggs, peanuts, artificial flavors or preservatives. Adults and children 12 years of age and older: chew 3 gummies daily. What a great tasting way to support your immune system! Easy to use, makes me feel like a kid again. Works too! Great company to work with for your supplement needs, fast and free shipping too! Would highly recommend!